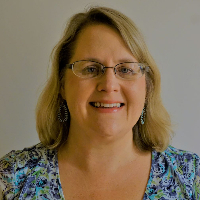 My name is Leslie Pegram and I am a licensed professional counselor in the state of Georgia. I have over ten years of experience helping adults and children readdress difficulties and reclaim the stability they are seeking in their lives. I firmly believe my faith in Christ has significantly assisted me in my counseling journey. I grew up in a Christian home and accepted Christ as my Savior at a young age. I have watched Him repeatedly shape and mold my life and my future. My faith extends not only to my personal life, but to my professional development and practice as well. Along with scriptural truth, I utilize cognitive behavioral therapeutic interventions and solution focused therapy to assist my clients in identifying their goals and plans for success. I believe in the client-therapist relationship and will work diligently to assist you in overcoming the difficulties and challenges you are facing. I will work with you to clearly define your area of concern and develop a treatment plan to effectively treat your needs. I will also assist you in identifying various scriptures that you can utilize to reach your goals. One of my favorite scriptures that I utilize frequently to help me stay on track and reach my goals is Jeremiah 29:11 "For I know the plans I have for you," declares the Lord, "plans to prosper you and not to harm you, plans to give you hope and a future." Would you like to write a review for Leslie Pegram? We'd appreciate if you can spend a couple of minutes to write a short review for Leslie Pegram (LPC). This review would be shared with Leslie Pegram. It may also be posted in our website or in Leslie Pegram's profile but it would be anonymous and your identity would be kept completely confidential.